The Seychelles Islands located 1600 kilometers from the east coast of Africa in the Indian Ocean can be easily described as truly unique in the world. Isolated for a very long time they retained their unique beauty. Some of its flora and fauna cannot be found anywhere else. The guide will guide you through all the famous bays and will lead you to the remote beaches where you can otherwise only get with a local guide. 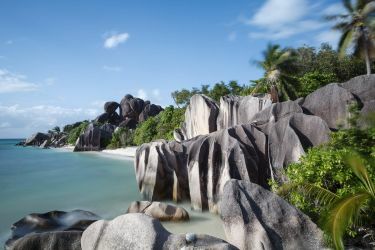 It will reveal the most exciting sightseeing spots from where you can see the beaches from the highest granite stones. Last but not least, recommend local authentic restaurants, takeaway, accommodation and other practical information on island transportation or detailed photographic equipment. More than 50 exclusive photos with GPS location, travel and photo tips. I am an amateur photographer and an enthusiastic traveler. This ideal combination leads to travel photography, which is my biggest hobby. 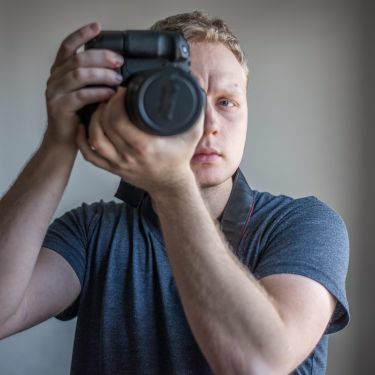 I got to photography seven years ago when I started using a classic digital camera. In 2012 I started tinkering with digital SLR cameras. Since then, I have been constantly trying to improve with the help of books and video tutorials. In my work I focus on landscape photography and live nature. Specifically, I prefer to take photos of seashores, waterfalls and cities. My favorite place is certainly the Seychelles, which I regularly visit. They are very near to my heart, they have been ever since I first went to Munich at the age of 18 and got on the first plane that was just heading for these amazing islands. Full version of the guide includes 39 additional photos.